It’s bad news for clients in Ontario – and one that could have a lasting effect on broker business – still the industry is bracing for an influx in business prior to a new tax being enacted. The Liberal government is planning to permit all municipalities in Ontario to double the land transfer tax homebuyers pay. However, at least one industry association is fighting against the province-wide policy change. 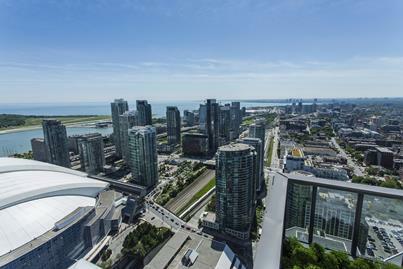 “This is an unfair, unsustainable and unpredictable tax," Patricia Verge, president of the Ontario Real Estate Association, told the Toronto Sun. Verge told the Sun the proposed tax is a broken election promise, saying the Liberals told OREA during the provincial election last year that they had no plans to allow municipalities to charge an additional tax. OREA has established a website – donttaxmydream.ca – in response. The page includes a petition that clients, brokers, and other industry players can sign. According to OREA, the average land transfer tax a client pays on a $445,000 home is $5,375, but the new land transfer tax will add another $4,625 to that – totaling $10,000. Currently, Toronto is the only city in Ontario permitted to double the tax. In that city, where prices continue to skyrocket, clients pay an average of $10,000-$15,000 on the average priced home. Still it hasn’t retarded home sales, say brokers. In fact, an average of $300 million is raised per year in Toronto through the extra land transfer tax, which was put in place in 2008. The new proposed tax in all municipalities is unacceptable. The case of Toronto is that Residential Property Taxes are lower than in any other city in the province, it is subsidized by the Commercial properties. Additionally, buying in Toronto has proven to get higher appreciation than in any other city or town in ON. The double tax there may be relatively justified. In the rest of the cities and towns there is no reason to charge buyers with a double tax. This would only make it more difficult to families to live and work in the city. Please find another source of income to balance the budget...use better judgement to spend and less strain on honest people. The interesting thing about new taxes and fees is that no matter how "unacceptable" we think they are; the government could care less what we think. The approach we see in governments is that in the 2 or 3 years prior to the next election they introduce whatever crazy new taxes and fees they desire and then in the 8 months leading up to the next election they bring out a targeted program of rebates and giveaways aimed at the governments target voting block. Let's face it, when a government pays $7 million in secret bribes directly to unions in order to finance attack ads on opposition politicians, anything is possible. Regulating the housing market is the only way to bring real estate prices down, and make houses affordable for young folks. These taxes will definitely help if first time owners are exempt; realtors are only concerned about their income. Also, people who are making a fortune out of buying multiple properties these days should be taxed highly to reverse this housing prices nightmare.